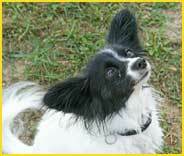 This is the website of Gypsy Glen K-9 Kastle Pet Resort. 2412 S Lily Lake Rd. We can also be reached by telephone at 815-385-8585. From time to time, we may use customer information for new, unanticipated uses not previously disclosed in our privacy notice. If our information practices change at some time in the future we will post the policy changes to our Web site to notify you of these changes and provide you with the ability to opt out of these new uses. If you are concerned about how your information is used, you should check back at our Web site periodically. Consumers can access this information by contacting us at the above address. Consumers can have this information corrected by contacting us at the above address.